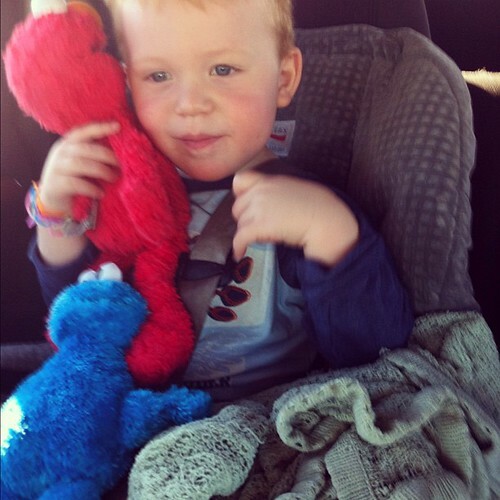 Elmo + Cookie Monster + Blankie = Happy Cooper, a photo by kimberly.kalil on Flickr. Today I'm grateful for the opportunity to take my children to school. Even though I have to work away from home this week, I'm only going to Phoenix, which means I got the change to take Coop and Shelby to school this morning. I love the morning drive to school. It brings me joy.